Anne of Green Gables – a fun mini series for the whole family! Anne of Green Gables is such a beloved story that has been loved by so many people for many years. This story of Anne is inspired by the book series written by L.M. Montgomery. The story presented in this Christian DVD has become sort of a timeless story that people can identify with. They relate to the struggles of growing up, finding their way and overcoming different types of challenges. Also on the details that I love about this Christian DVD is that Megan Follows stars as Anne. I’ve mentioned in other blogs how talented I think Megan is and she is such an excellent actress so be sure to expect a great performance by young Megan. Anne of Green Gables is about a young orphan girl who is mistakenly placed in a home with two elderly siblings but still captivates her new home and community with her imagination and great spirit. 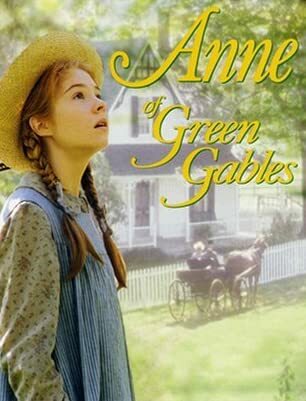 The beginning of this Christian DVD we see that before Anne arrives at Green Gables, she was with a family that had many kids and not enough money to support the whole family so she was basically a servant in that home. Because of this she was badly treated and suffered through much abuse. She was constantly blamed for everything that went wrong and this affected Anne to become very insecure about herself. So since then, she felt like she would never accomplish much and wasn’t feeling wanted. Now Anne is sent to a new place and she is very optimistic about what that new place has for her. She longs to have this loving family and have friends too. In this moment when she arrives at Green Gables that she meets Matthew, she is mesmerized by this new world and immediately loves it. Matthew quickly likes this girl but originally he wanted to adopt a boy so he didn’t know how to break it to her. He sees that Anne has come from much brokenness and doesn’t want to keep adding sadness to her life. At this point of this Christian DVD, we meet Marilla, Matthew’s sister, who is actually quite different from him. She’s more serious and stern so when she sees that Anne is, in fact, a girl and they have asked for a boy to help around their farm, she immediately thinks that Anne must go back to the orphanage and doesn’t hesitate to tell the girl. This shatters Anne from Anne of Green Gables and cries her heart out as she really wants to find a family and ultimately find a good place to stay. Marilla sees this girl’s vulnerability and even though she doesn’t plan to keep Anne for the long haul she lets her stay for a while until they decide what to do. Of course, Anne knows that she isn’t really wanted there so she decides that she has to prove to Marilla that she is, in fact, worthy of staying there. She tries her best to be on her best behavior but this young girl is passionate about many things and occasionally during her stay, she has some discussions. This, of course, embarrasses Marilla and Anne’s insecurities come flooding back as she truly believes that she will be sent away for good. Marilla from Anne of Green Gables realizes that she and Matthew have this opportunity to help this girl and to influence her in a positive way so ultimately she decides to let Anne stay with them. And even though she can’t provide the help that these two siblings needed for their farm, Anne is actually helping the town emotionally in things they didn’t even know that they needed help. Because of how she is she brings laughter and positivity and light to all of those around her and manages to actually soften Marilla a bit. Before this young girls arrival Marilla was known for being hard and a bit strict but now that Anne is a part of the picture she is reminded of the importance of second chances. Anne of Green Gables is filled with many positive themes and great lessons to learn from or to be reminded of. After watching this you’ll understand why so many people have fallen in love with Anne Shirley. If you’d like to know what happens in this Christian DVD make sure to purchase Anne of Green Gables at the Fishflix store!